From now on we will be making two pages, a front and back. The front is part 2 of the Shapes Page. The back page is part 1 of the Paper Doll Page. Print out Shapes 2 Page Template. Cut a piece of fusible web large enough to cover the page. Place printed paper under fusible web. You should be able to see the printed paper through the fusible web. Trace the shapes. Cut each shape apart. Place each fused paper shape on top of a different color of the pages. You want each shape to be a different color (make sure you use the same color for each shape. Like all the heart's should be red, etc). Iron on, cool slightly then cut out shape and peel paper. 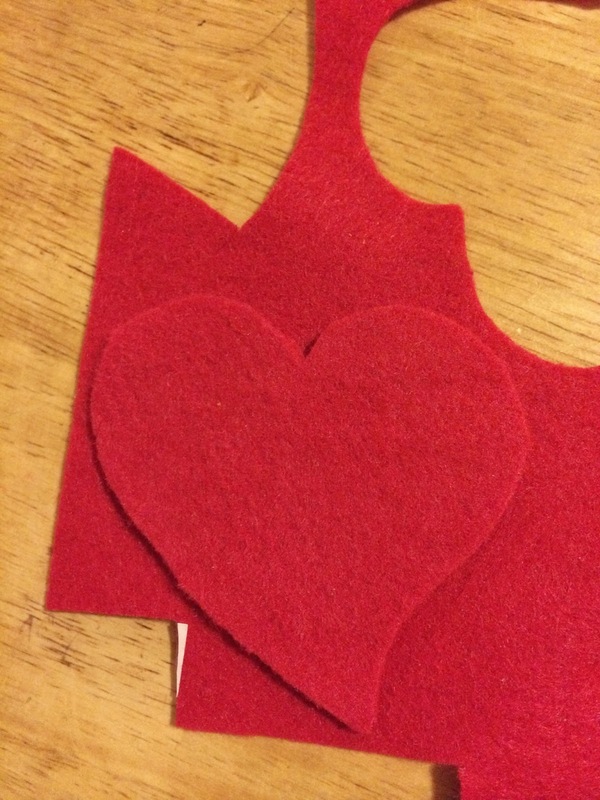 Take each shape and iron on to a piece of felt the same color. Cut around the shape so that now you have a shape with two layers. Sew around each sandwiched shape using a straight stitch. Cut out the shapes from the template you printed. Place the pentagon and heart three inches below the top of the light blue page. Using the sharpie, trace around each shape. Go down 2 inches from the shapes you just traced and do the same for the remaining shapes. Cut Velcro into about 1/2" squares place in the middle of each traced shape. Sew around each Velcro using a sewing machine. Place remaining half of each piece of Velcro on to the middle of each sandwiched shape and sew around. Cut a 4" x 12" strip from the dark pink. Place on top of the cream sheet and line up to the bottom and side edges. Sew top of edge of the pink strip. This is the rug of the room. 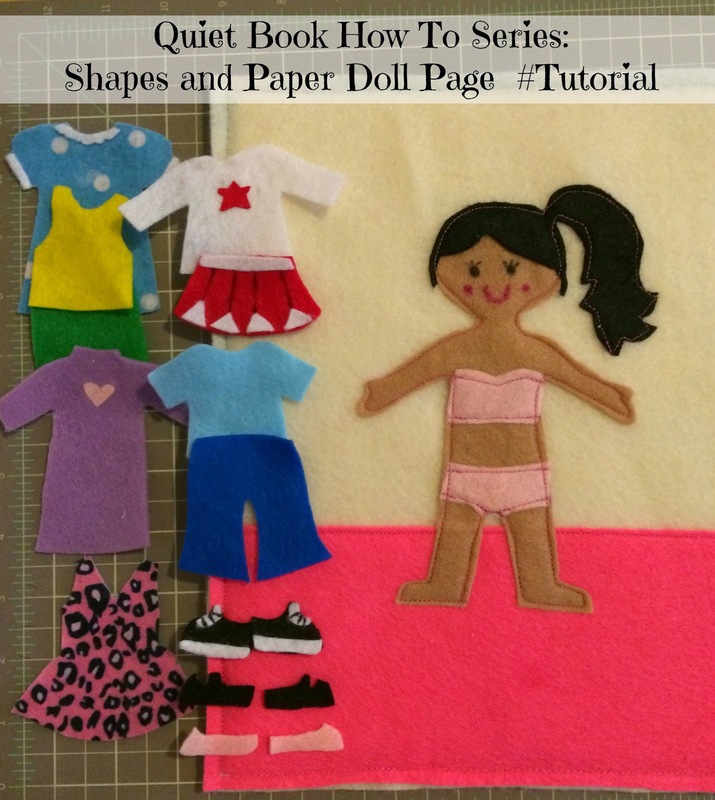 Print out paper doll template and place doll under a piece of fusible web. Trace and cut out. Iron on to skin color sheet and cut out. Place a blank sheet of paper on top of doll template. You should be able to see the doll through the paper. Draw on some underwear. Place a small piece of fusible web on top of underwear and trace. Iron on fusible web to light pink fabric and cut out. 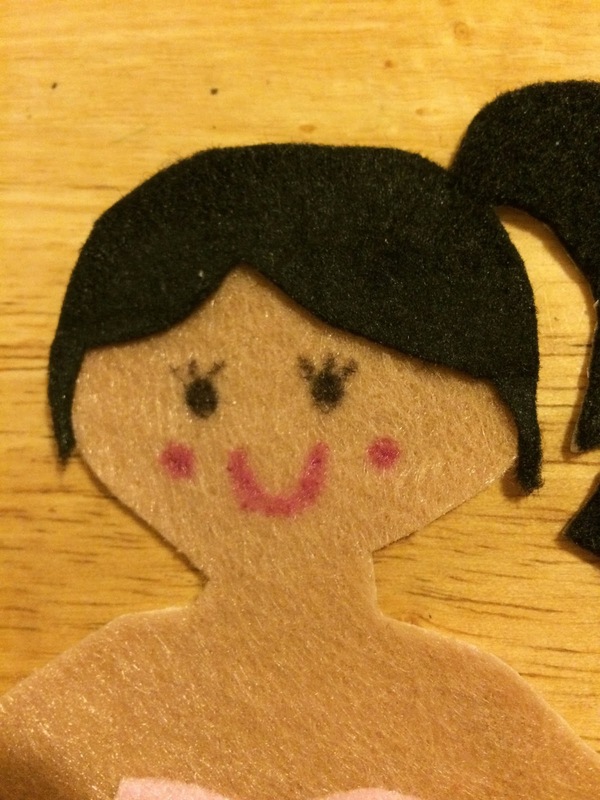 Peel off paper backing and place on top of doll and iron on. Design some hair using the same method in step number 3. You should now have a doll with underwear and hair ironed on. 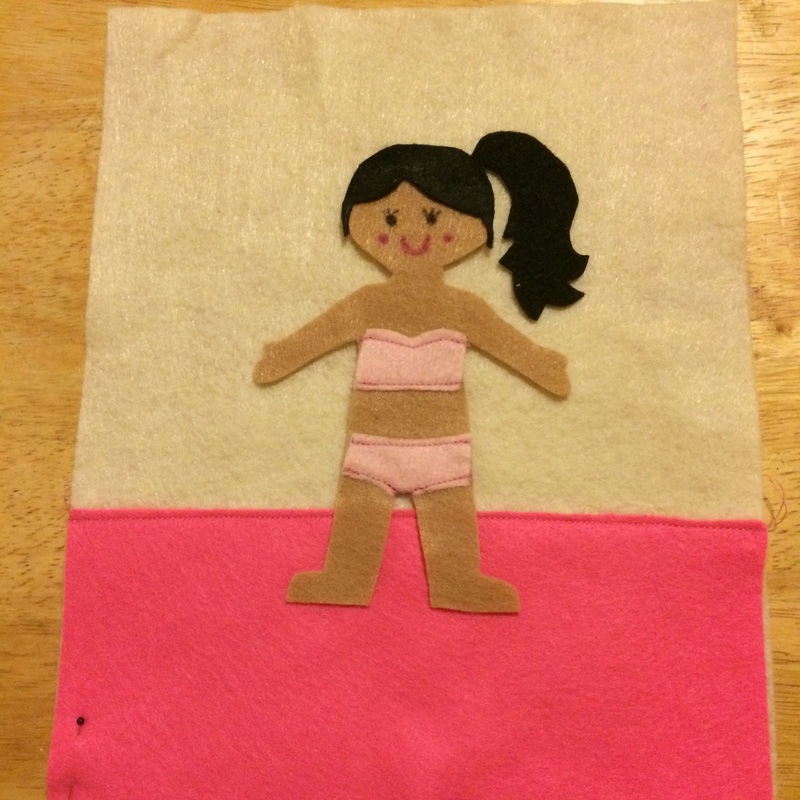 Peel off paper backing from back of doll and hair and place on top of cream colored sheet with rug. You want the doll to be a least 3 inches from the bottom. Iron on. Sew all around the doll to the sheet. Using a fine tip black and pink sharpie, draw on the features of the dolls face. 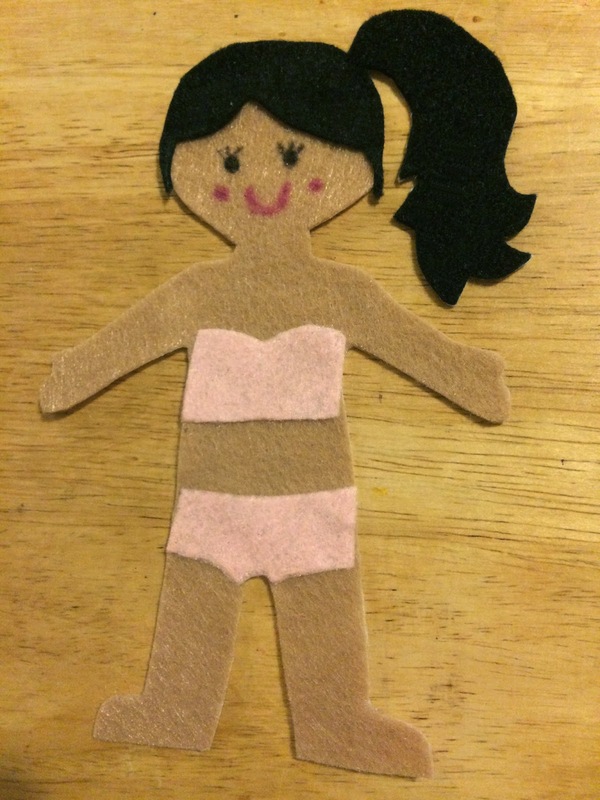 Using the doll template and scraps of felt create some clothes for the doll. If you are using trims use the method above to iron on fusible web and iron on to the clothes. Take the two completed pages and sandwich them together. The numbers page should be on top and the shapes page behind. Stitch a 1/4" seam around 3 sides of the two pieces of felt. Place grommets 3 inches down from top and bottom on the left side with the shapes page facing up. * To print templates and printables: Click on the link, Download, then Direct Download. Save onto your computer where you can easily find it. Then Open the file, press File.. Print and pick the Actual size option. ** Stay tuned for my next tutorial where I will be making a page for part 2 of the paper doll page and part one of the barn yard page. This is really awesome! I love doing projects like this for my little ones! I get so much added inspiration from reading posts such as these. Now this is cool, my girls would really enjoy doing this project! 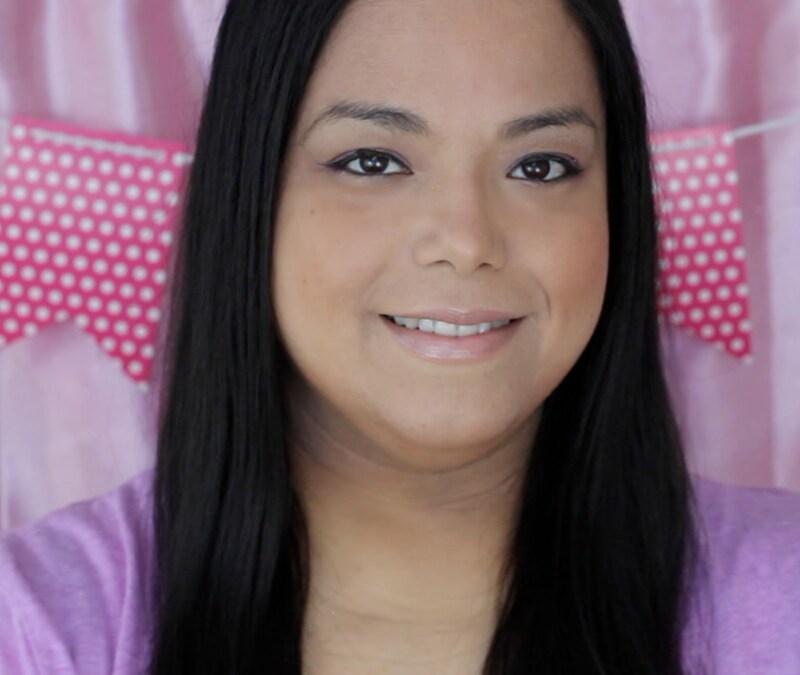 You have such a wonderful blog and Thanks for sharing this! These are so cute! This is something the girls at my preschool would like. This is by far the coolest thing I've seen today! I love this idea, the concept, and the end creation! I want to make one for my little girls now. :) Thanks for the idea! That is just the cutest. Your little girl is so lucky! That is so cute. I use to love that kind of stuff when I was younger. You should consider selling these-- I have no patience anymore to do this kind of project, but I know my littlest granddaughter would love it. This is such a cute idea and easy to make. when my daughter was into dolls, she would do things like this. she had something similar.. This is so cute! I love the doll's ponytail! :) I think my girls would be thrilled with this! Those are cute as can be. I can see how the kids would love them too! This book is so cute, and you have some really neat ideas! Love the little cheerleader outfit! Looks like a wonderful idea to help boost kids' development. Not to mention how cute it is. Great job! You make it seem so easy. Cute presentation. what cute ideas, my little ones would love this! Very cute! Looks fairly simple, too, for a non-crafty person like myself. Very cute and creative craft!! Great for children of all ages who like to design things!! How fun and cute these are. I thought it's a real felt paper in the screen and I was so curious that i really touch my computer screen. This is very creative and looks fun craft. Kids will enjoy this. This is such an incredible idea! I just had to pin this so I can remember it! I must say you have a LOT of patience to complete this project! The pages turned out beautifully! That is cute! I really need to make felt letters and things for my boys! Felt is so fun to play with! This is absolutely adorable and if I could saw I would definitely make this for my daughter! 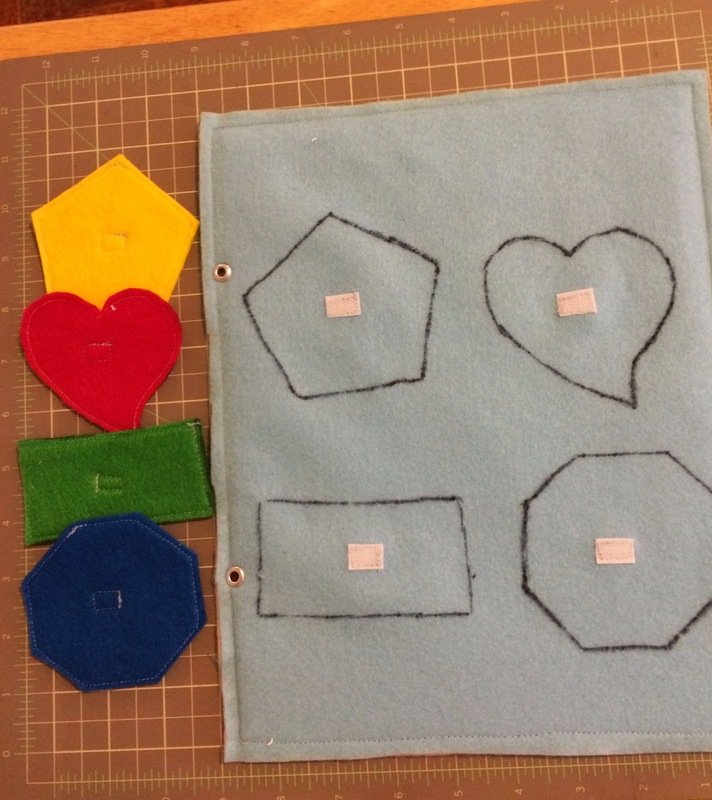 I've always wanted to try and make my own felt activity boards. I've heard many good things about them! Love this! Will use your idea to make some dolls for my classes! what an awesome tutoria! I am definitely going to have to try this for my daughter. Brilliant! I love the idea of a quiet book. Thanks for sharing how to make one. 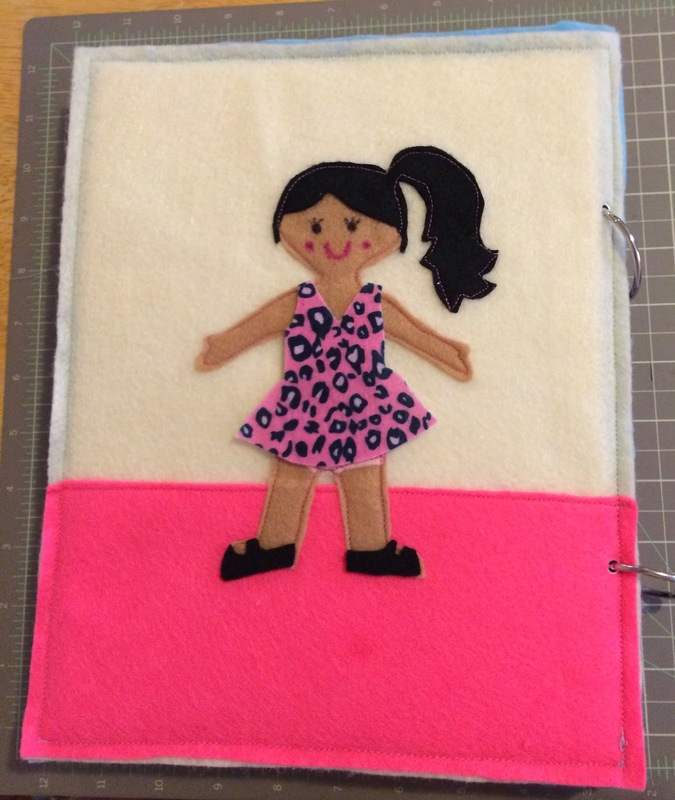 I love the idea of a 'quiet' book and my daughter would love dressing up this girl too! That is such a cute idea! I wish I would of thought of this when my kids were younger. I will be sharing this with friends who have younger kids. Hey Michelle. 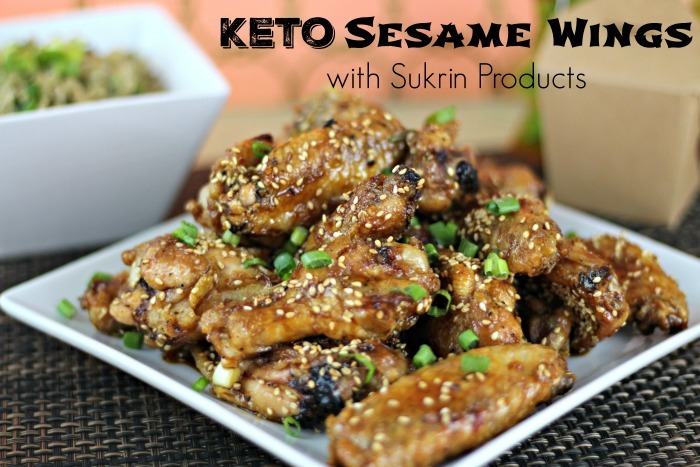 Thanks for linking up to EPIC FRIDAY LINKY PARTY last week. Oh my gosh. I don't think I can make that but it's so cuuuuute!!! MY daughter would love this! How do you keep your kid from loosing the pieces? Hi Bonnie, In my set everything has it's own little place and I try to get my daughter to put things back when she is finished. I also tell her to stay in one spot when she is playing with the book so I can quickly pick up any pieces she forgot to pick up. It's been over a year now and she has only lost a few pieces. I've been looking at a number of different quiet book ideas. Do I have to use a fusible webbing? Or can I just see the big pieces onto the pages? Also is it best to use card stock between the pages to make them sturdy or is there another option? Thanks so much for taking a lot at my quiet books! You don't have to use the fusible webbing but it does make it easier to sew around the edges without the pieces moving or having to pin them in place. You don't have to use the cardstock but it would make the pages feel like a thick fabric. I wanted my daughter's book to be more of a board book feel that's why I used the card stock.